On stove top melt coconut oil and sugar together on low heat. Add Cocoa Powder, Eggs, Salt, Vanilla, and Flour, mix well by hand. Place mix into baking tin that has been buttered and lined with baking paper. Place in oven 160c for 30mins. Until spring back in middle (will firm when cools). 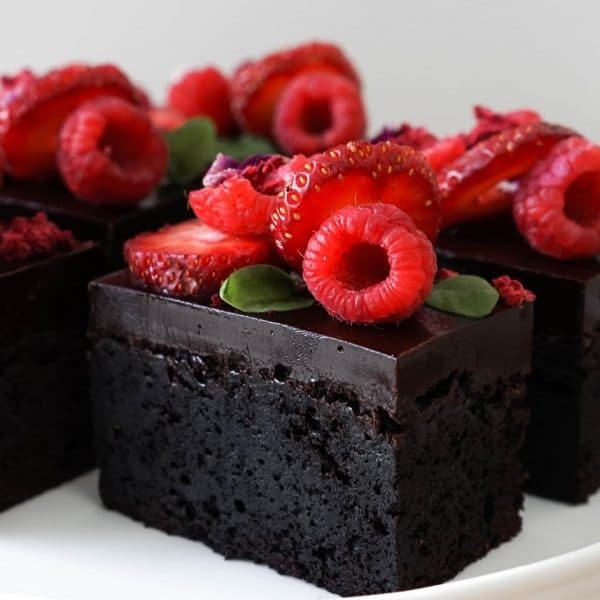 Can serve as is, however we suggest finishing with chocolate ganache and fresh berries (for special occasion).